Coe Coffee is named for Andrew Coe, a civil engineer turned small business owner and microroaster in Portland, Oregon. Coe applies a mathematical attention to detail to his roasting, churning out small batches of conscientiously sourced single-origins. We were lucky enough to sample a few of his coffees, including one bursting with bright citrus and berry flavors from Yukro, a cooperative in Western Ethiopia. 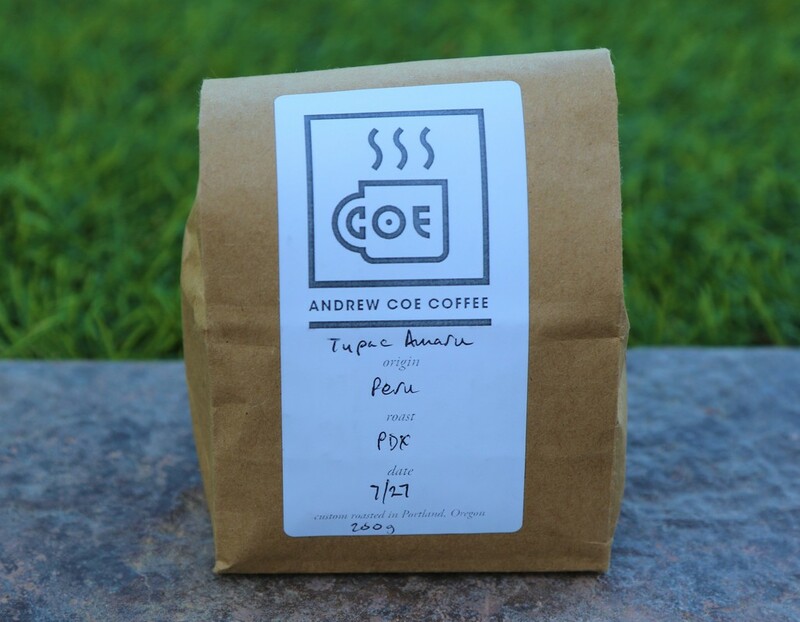 Our favorite from the lot was Peru Tupac Amaru, one with a profile just as memorable as its name, sparking reminiscence of 90s classic rap. The namesake of both legendary rapper Tupac Shakur and this coffee was a legendary eighteenth-century Andean chieftain, Tupac Amaru II. Amaru began and led the Rebellion of Tupac Amaru II, an Incan revival movement that fought the encroaching Spanish colonists throughout South America. Though Amaru was eventually defeated, he remains a steadfastly iconic figure of both Peruvian and Andean culture - a symbol of independence, determination, and traditional Incan heritage. The Tupac Amaru cooperative today honors the memory of the fallen Incan leader by staying true to the traditional methods of coffee cultivation. With over 500 members in and around the Sandia Valley of Puno, Peru, the co-op employs hand crank depulping machines, ferments its green coffee for 16-20 hours in concrete tanks, and dries the parchment for 6-14 days on parabolic beds. There is an interesting variety to the coffee produced by the co-op - elevation among the farms ranges from 1400 to 1800 meters above sea level, and farmers grow varietals including Caturra, Catimor, Typica, and even Bourbon, a sweet, complex breed most commonly cultivated in the highlands of Eastern Brazil. Now, on to some cupping notes. The most prominent flavors in this coffee were a distinct buttery, nuttiness, and a subdued, orange zest taste to close out the sip. Increasingly, notes of cocoa and pear/apple were evident as more was tasted. The coffee also had an inherent sweetness, with some pleasant caramel/brown sugar undertones. My favorite iteration of the coffee came with the following recipe, which beautifully highlighted those lingering, subtly acidic orange zest flavors. Thanks to Andrew Coe from Coe Coffee for sharing his coffees with us - Andrew is also lead roaster and green coffee buyer at Elevator Cafe and Commons in Portland, making it even that much more impressive that he's able to roast such great coffees on his own as a microroaster. His last name also just happens to be an acronym for the prestigious Cup of Excellence award held by the ACE. Coincidence? You tell me. Click the epic-looking logo to the left for a link to the Coe Coffee website.